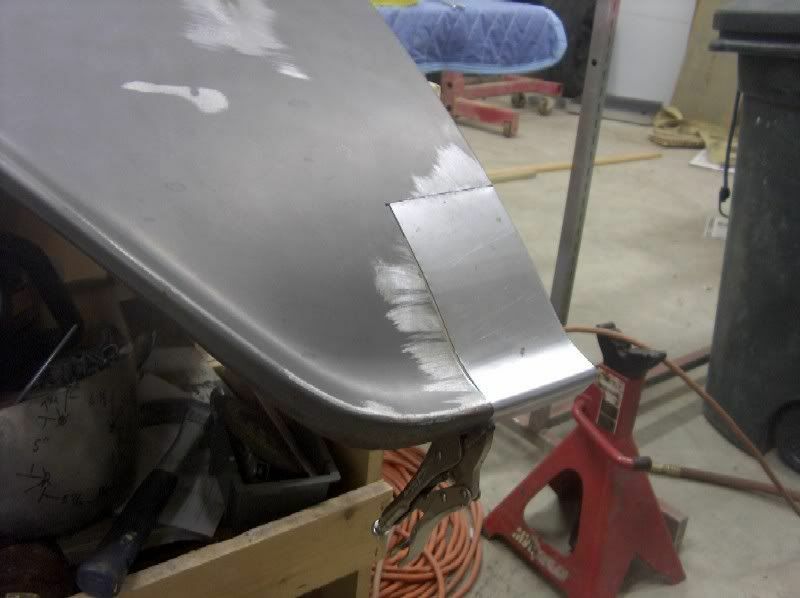 Here's a lower fender repair on the 55, but the theory should work across the board for other years as well. 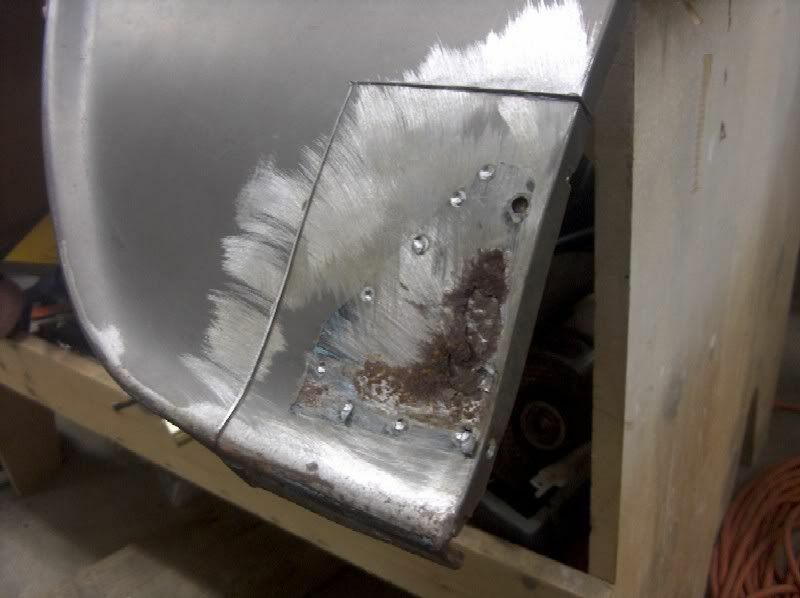 It had a galvanized patch spot welded over the rust hole, and we'll get that removed to show the damage underneath. 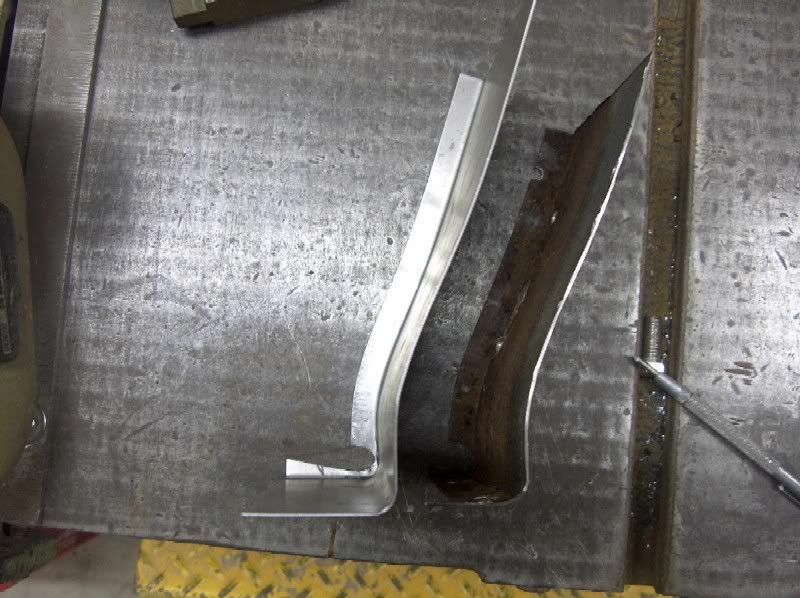 The repair piece is started by bending the rear flange, and cutting the relief for the lower bend. 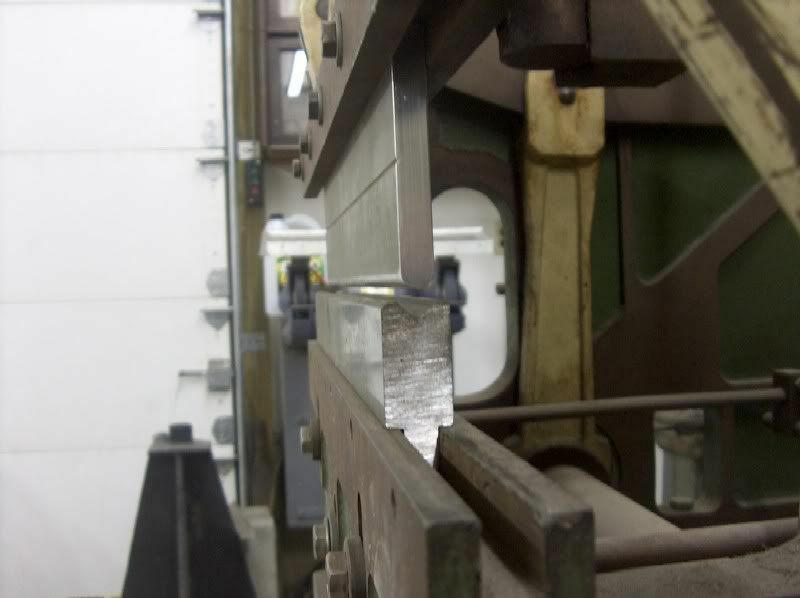 The lower bend is made using a 1/4" radius die in the press brake, but can be done with incremental bends in a regular brake. 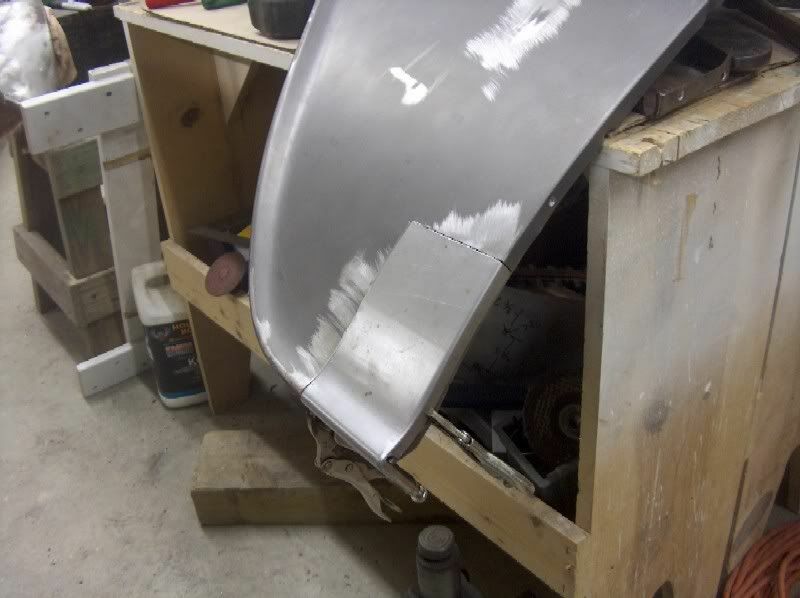 Some shrinking and stretching of the rear flange on the Lancasters will start to shape the rear edge. 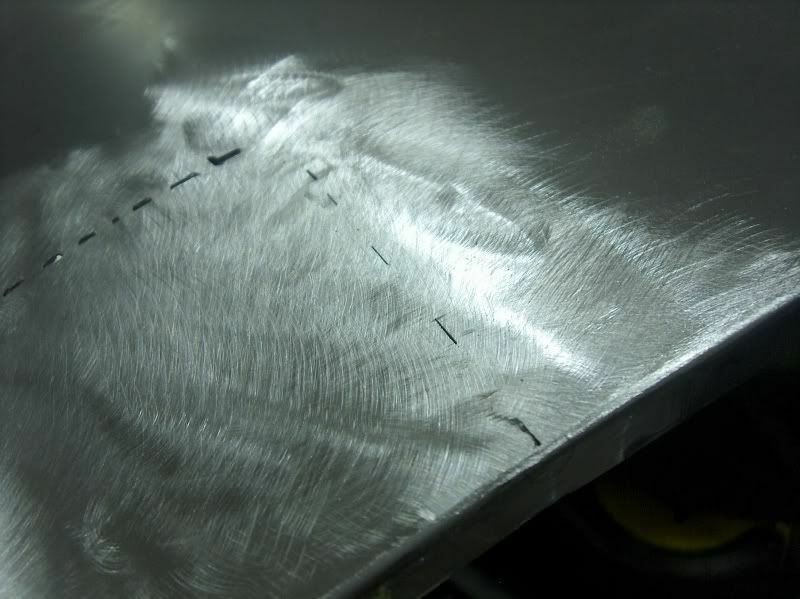 Followed by some "gentle" bends in the press brake again to match that contour across the piece. 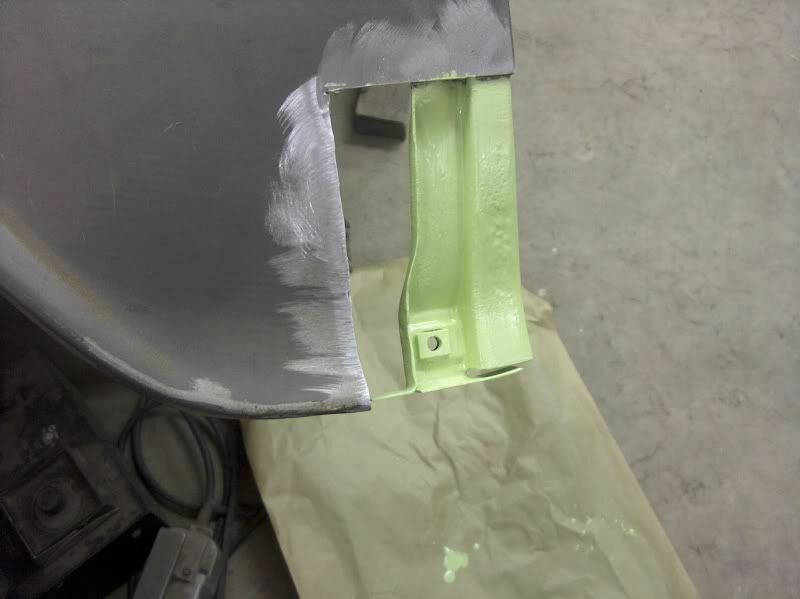 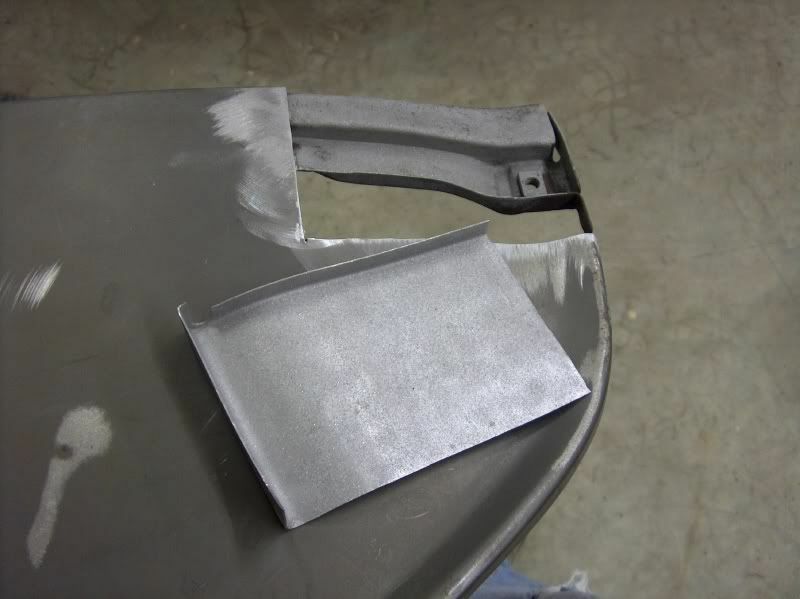 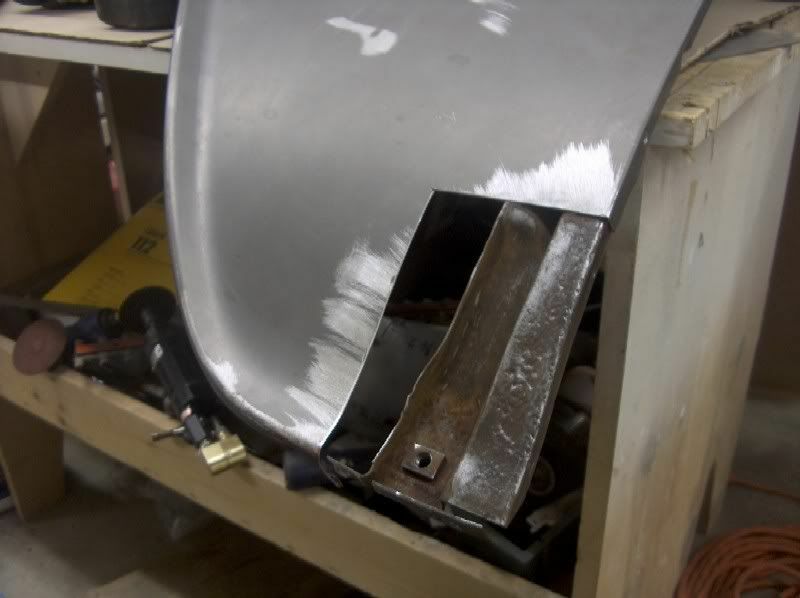 Next, the inner fender brace was sandblasted, and with no holes showing up in the pitted areas, the brace was epoxy primed, as well as the inside of the repair panel. 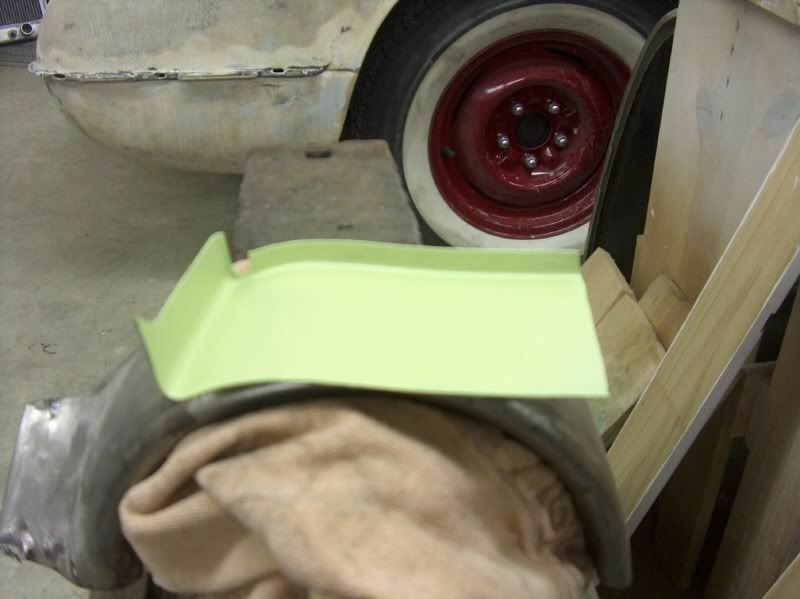 This will get a good coat of paint between the outer skin and the stiffener brace. 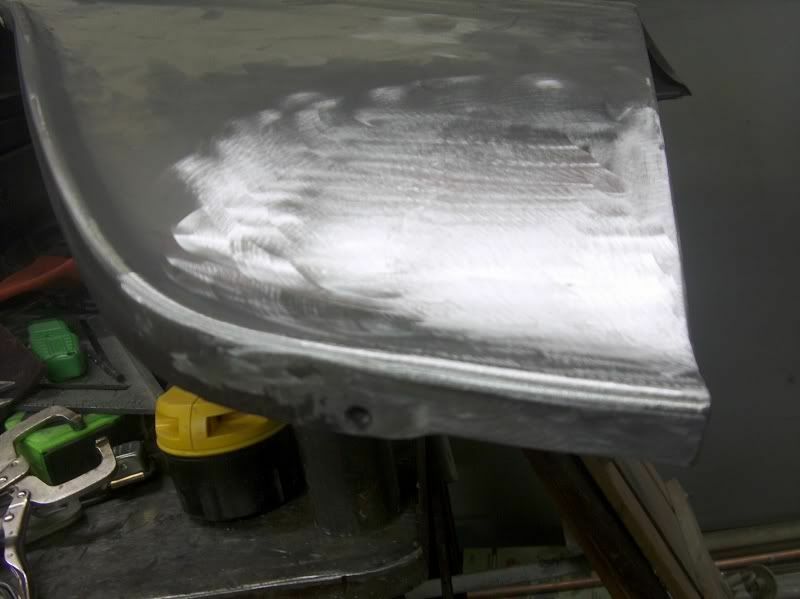 Once the primer has a few days to cure, we'll start welding. 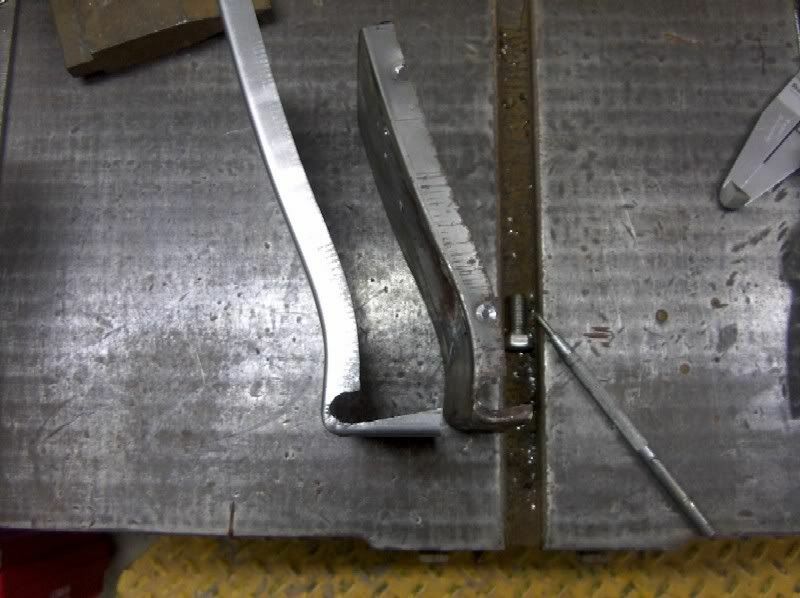 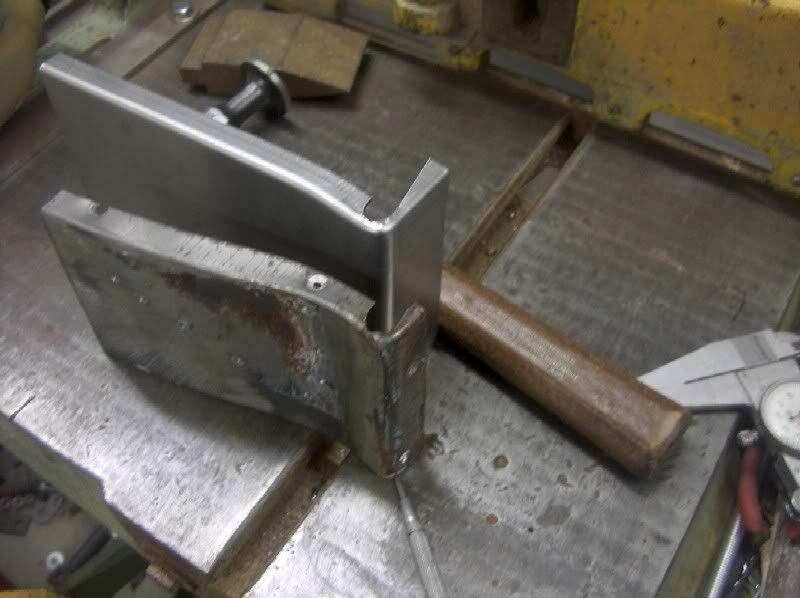 The first order of business is to clamp the lower edge once flush with the bottom, align the side, and tack weld in place. 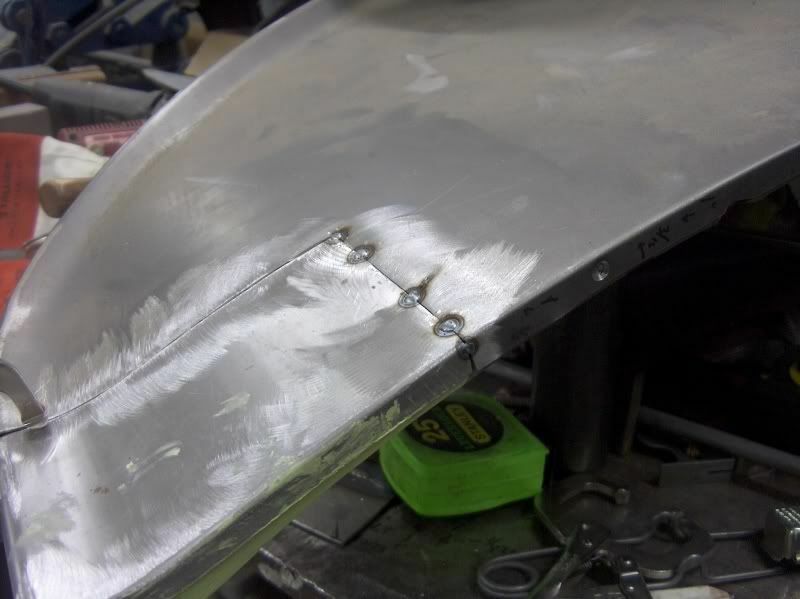 It helps to planish out the weld tacks as you go, minimizing the effects of shrinkage caused by the welding. 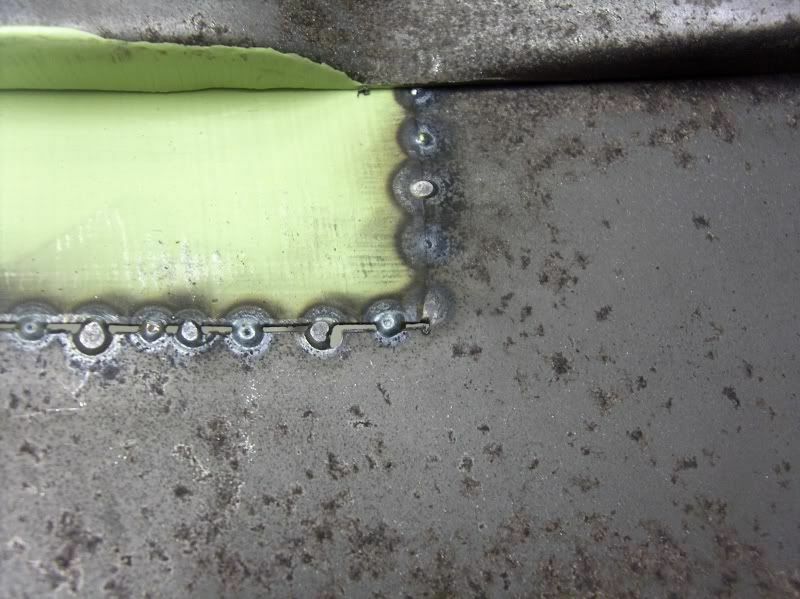 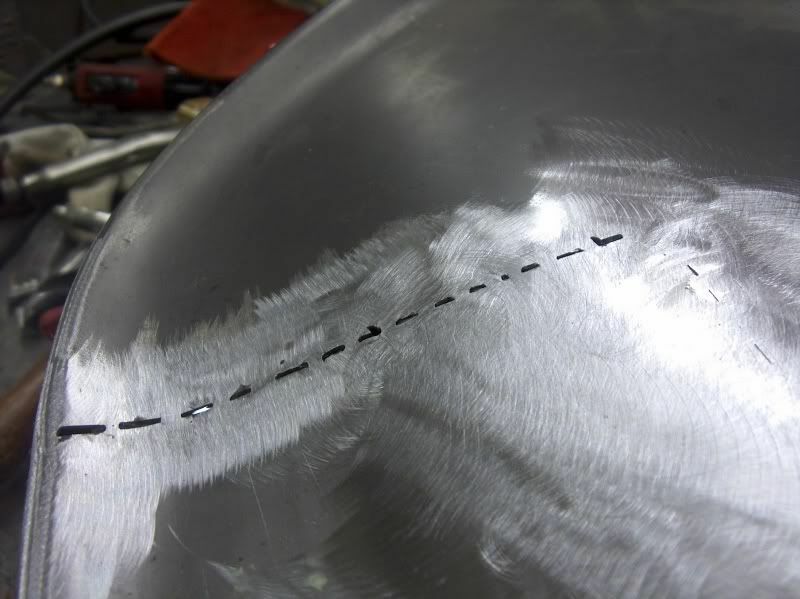 With any welding you are doing, check the back side to insure full penetration, or adjust your machine accordingly. 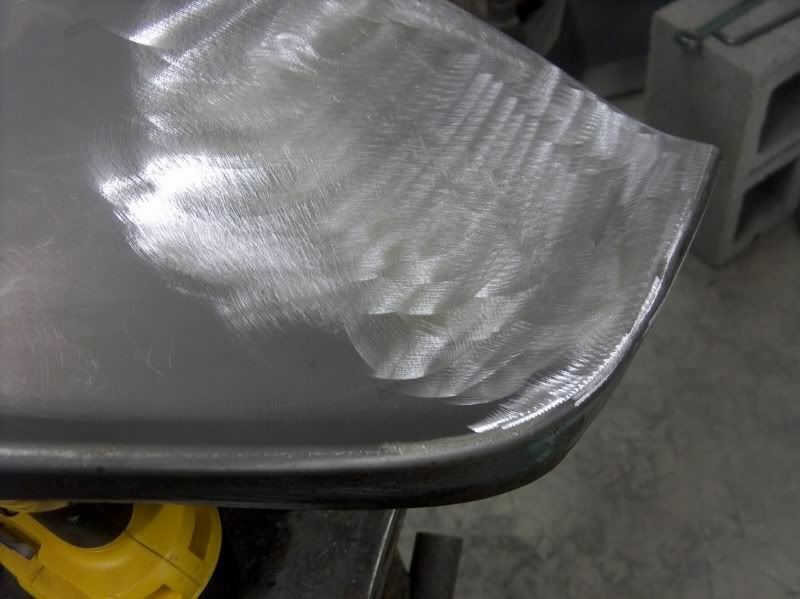 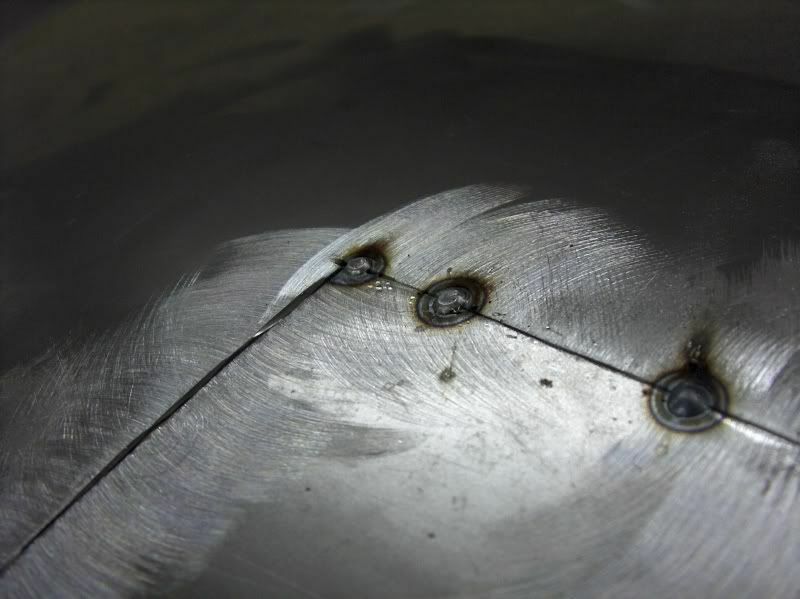 If you need to weld it from both sides due to lack of weld penetration, you just doubled your chance of distorting the panel from introducing the heat there twice. 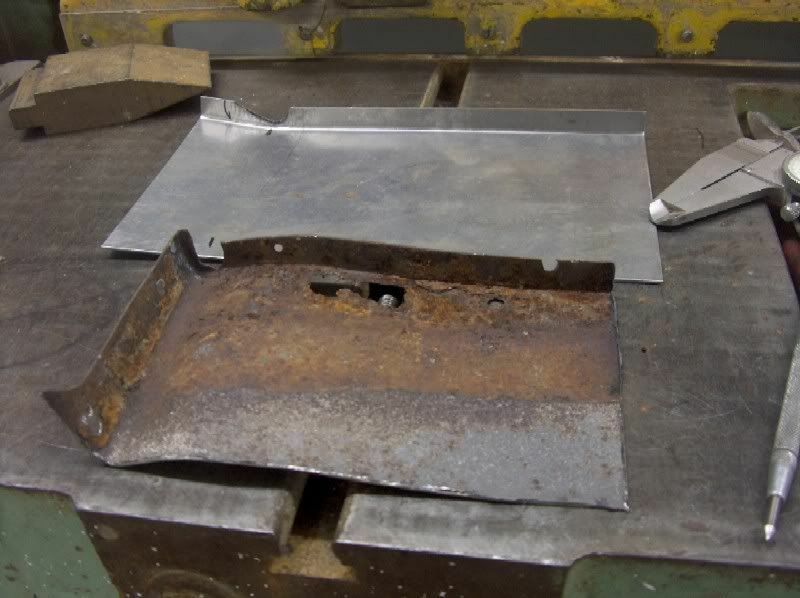 After planishing, grind some welds off as you go, gets some of the excess out of the way for planishing the new welds. 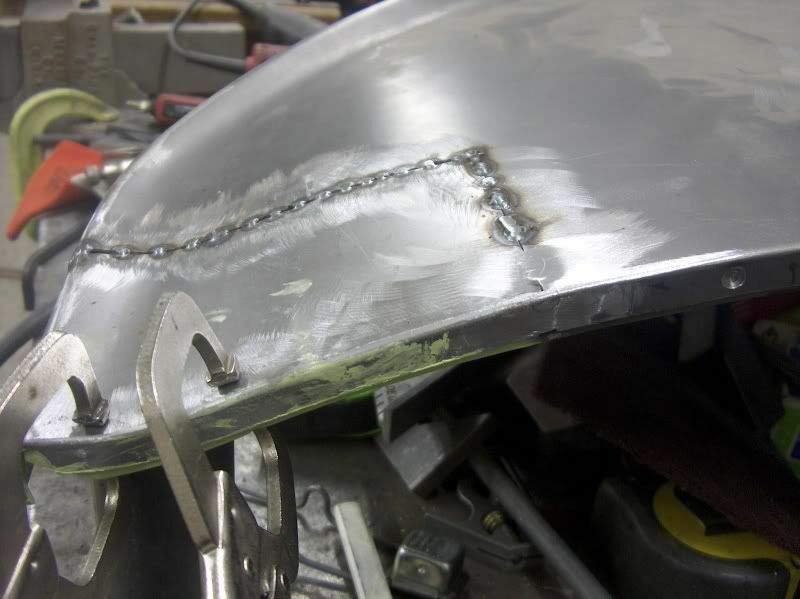 The inner fender brace is pulled in snug and plug welded to the lower fender. 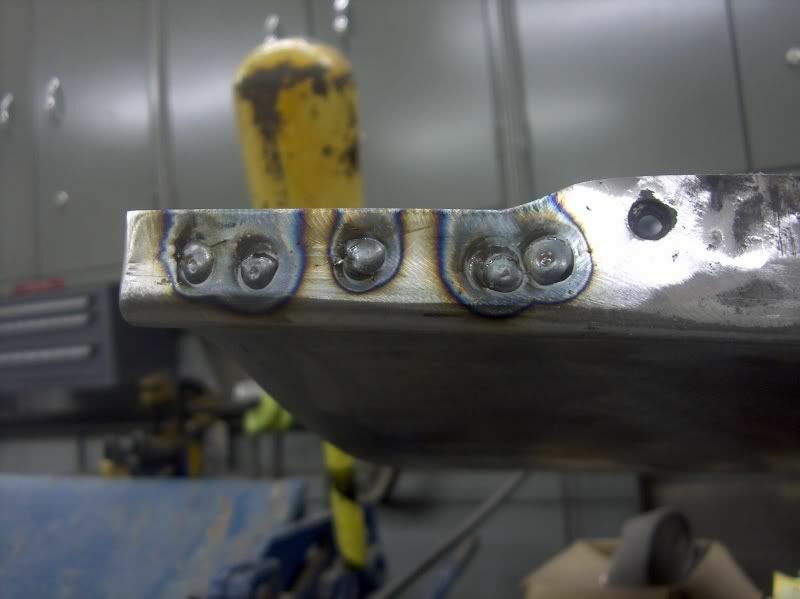 The rest of the welds are filled in, skipping around as usual to minimize heat buildup, planished as needed, and then ground smooth.